Here is the magnificent saga of Mary Ingles' daring escape from Indian captivity and her remarkable journey home. Mary Ingles was twenty-three, married, and pregnant, when Shawnee Indians invaded her peaceful Virginia settlement in 1755, kidnapped her leaving behind a bloody massacre. For months they held her captive. But nothing could imprison her spirit. Well here you have it, my first 'Best of 2016'. I would never have discovered this book on my own, but thanks to a friend on Goodreads I discovered it on the list 'The Unknown, Hidden Gems of Historical Fiction'. Follow the River is number one. It's great as a reader when you have your favorite authors, those trusted ones your go to and aren't disappointed. On the other hand it is great to discover new talent out there. Such is the case here with James Alexander Thom, though not a new author but new to me. 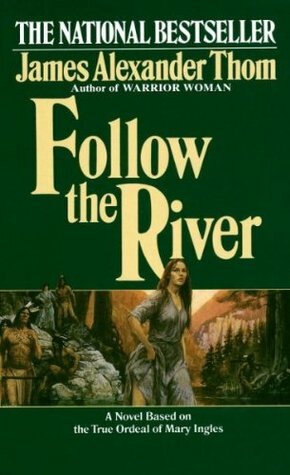 Follow the River is a story that showed a raw and violent side of early America. It's the story of a remarkable young woman named Mary Ingles and her unrelenting determination in what looks to be a hopeless situation, she is forced to make decisions no mother should ever have to make, but was courageous in her quest for freedom. When the Shawnee seeked to take revenge on white people, they targeted the settlers in Drapers Meadow, where Mary and her family lived. Thom's writing style was one I enjoyed, he didn't tell the story but rather showed it. Told in vivid detail the author didn't hold anything back. From the various aspects of the life style of the Shawnee to Mary's journey home I could visual and feel so much. It wasn't just Mary's emotional state but others as well, how they struggled to adapt to what was happening. Be warned there were a couple of graphic/disturbing scenes that I had a hard time with (especially the opening massacre). "It seemed very important somehow, though she knew she was presuming things about the Indian character, that she and the others should exhibit all the dignity their destitute circumstances would allow. Somehow, she felt, dignity might be all that could keep them alive. It was a notion she had arrived at largely by watching the straight-backed carriage of the tall chieftain." For Mary it wasn't just herself but 2 young sons and newborn baby as well. Based on a true story makes it all the more heart wrenching, but at the same time to marvel at her determination and strength made this a very captivating story. The authors knowledge and research is evident, he even hiked part (all?) of the route himself, showing his desire to tell Mary's story in a realistic manner (which were spot on). The historical/author notes I enjoyed as much as the book itself. Definitely an author I will be reading more of. On that note I have a copy to giveaway to one lucky reader. This is a mass paperback, used but loved. 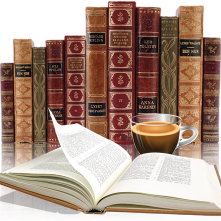 Just leave a comment, tell me about a new author you've discovered. It's open for a week, you can enter once a day and more entries if you spread the word and follow this blog. Contest ends Feb 7th. I read this book many moons ago because my grandma told me about it. That is when I got hooked on James Alexander Thom's books. I have read all of them. I read The Half Killed by Quenby Olson and I just fell in love with her writing because she makes you feel every scene! I recently discovered Clive Cussler's books. I love how adventurous his books are!